The first time I had a strata was some years back at a local tea house we have here. It was DELICIOUS. My mind was completely blown. So what is a strata? 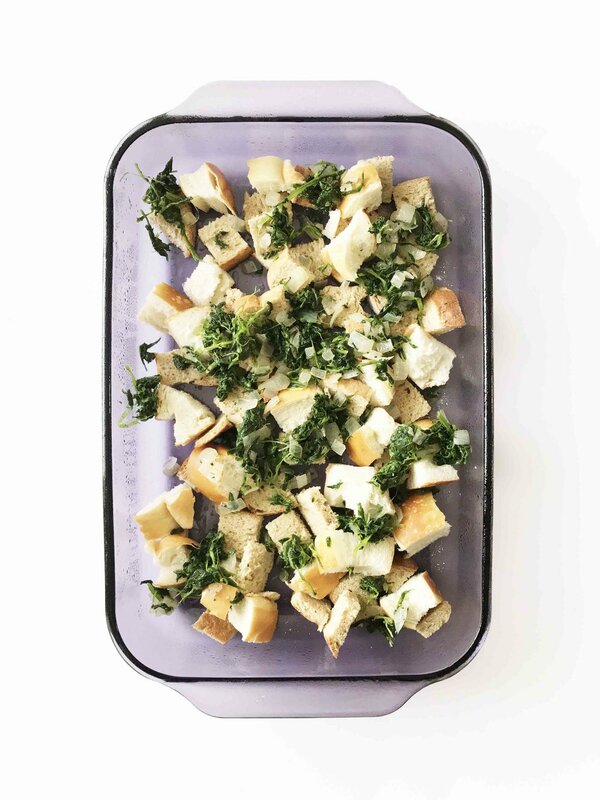 Well, it’s basically sort of a savory version of a french toast casserole. 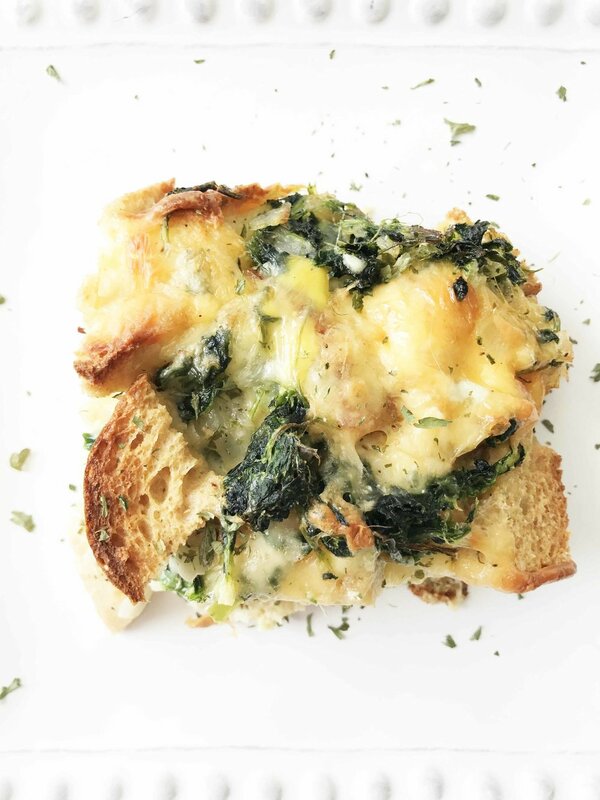 Bread, eggs, cheese, some veg, all baked to perfection. I would say it’s sort of a cross between french toast and a quiche really. I was scared for a good long while to make it on my own. Like I’ve said before, baking tends to intimidate me sometimes. The only way to get over fear is to take it head on, right? Right! So when I started this strata, I wanted to be sure to use a GOOD ‘healthy’ bread and plenty of veggies. Spinach is one of my favorites. To that, I added in ALL the good cheese. Gouda and parmesan. …Ok, all cheese is good. But these are the ones that I wanted today. I subbed in some egg whites for some of the whole eggs to lighten it up further, and of course used a reduced fat milk. The end result was fantastic. 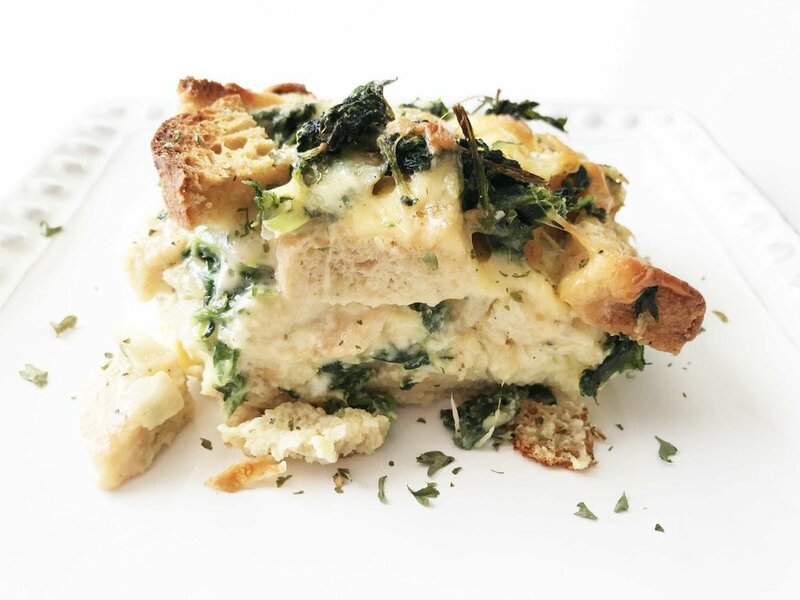 I was SUPER impressed with, not only how easy a strata is to make, but also how delicious it is homemade. It gave me a nice BIG dish of goodness and three days worth of breakfast/brunch. 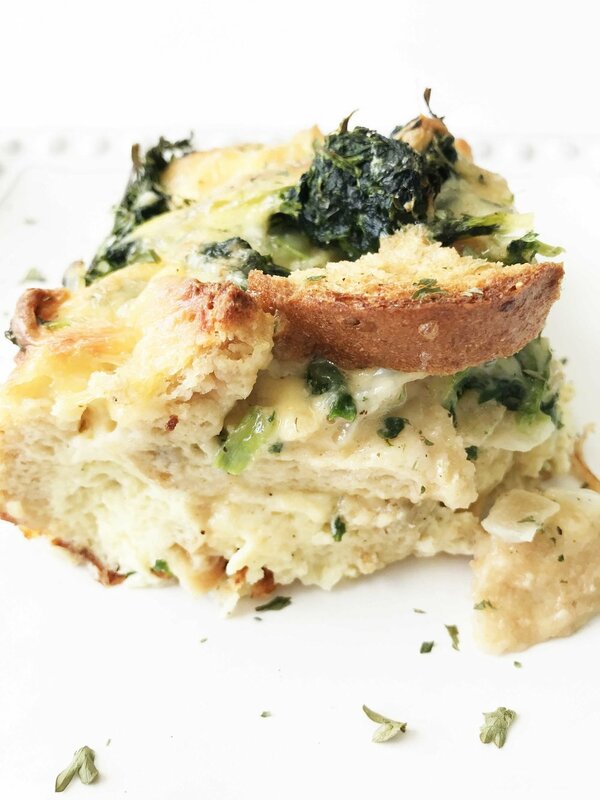 Yes, this strata is great as a reheat and eat leftover or make-ahead meal. Another plus is that it makes quiet a bit and is perfect for the holidays as a breakfast or brunch and when friends and family come over. An overnight breakfast or brunch casserole that's easy to make and so delicious. Loaded with sprouted wheat bread, eggs, cheese, and spinach too! Heat a large skillet over medium heat and place the 3 Tbsp. butter in to melt. Once melted, add in the chopped onion and cook until starting to become tender and translucent. Season with 1/2 Tsp. of the salt, 1/4 Tsp. of the pepper, and a pinch of nutmeg. Stir in the 10 Oz. chopped spinach and remove from heat. Lightly coat the inside of a 13x9” baking dish with non-stick cooking spray and place about 1/3 of the cubed bread into the base of it. Top the bread with 1/3 of the spinach an onion mixture, followed by 1/3 of each of the cheeses. Repeat this process for another 2 layers and set aside. 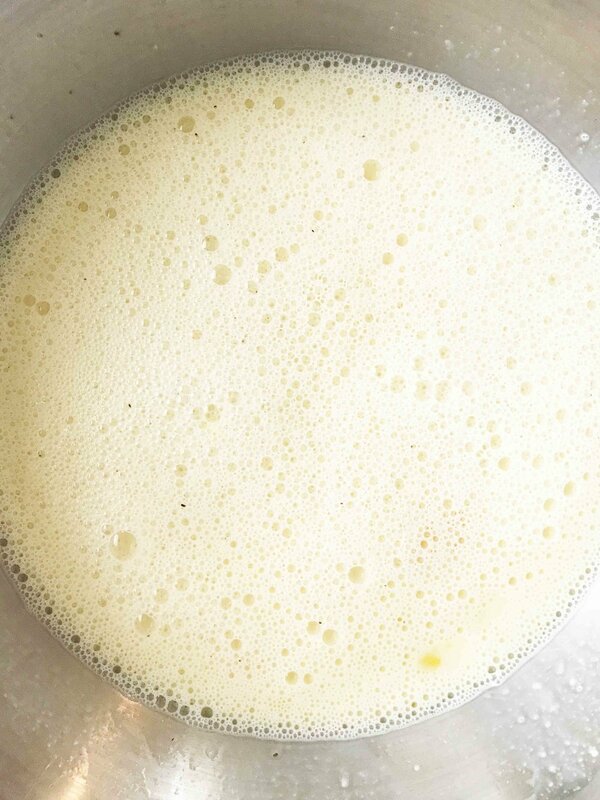 In a medium bowl, whisk together the 2 3/4 C. milk, 6 eggs, 6 egg whites, 2 Tbsp. dijon, and the remaining 1/2 Tsp. salt and 1/4 Tsp. pepper. Pour the egg mixture over the dish evenly, cover and place in the fridge overnight - or at least 8 hours. Once done, preheat the oven to 350 degrees F. and place the dish into the oven to bake for 45-55 minutes or until starting to brown on the top. Remove from the oven and allow to cool slightly before cutting evenly into 12 pieces.